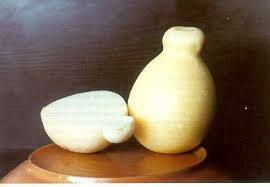 Sicilian provolone cheese, made from pasteurised cow’s milk and matured for 3-4 months. Soft, creamy, slice to eat with honey or melt as a pizza topping or over pasta or risotto. Shaped like a pear and originating near Mt Vesuvius in Italy, this soft full fat Sicilian Provolone cheese is made in the ‘stretched curd’ method and then matured for 3-4 months. Wonderful melted as a pizza topping or stirred into pasta or risotto, it is equally as good sliced and eaten with savoury crackers or with honey.